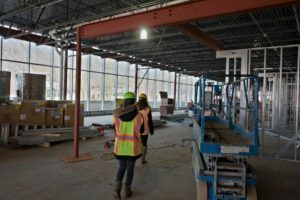 Madison Cyber Labs, a facility that will house research laboratories and academic development on DSU’s campus, has been steadily developing since its construction began in the fall of 2018. This building, located where Lowry Hall formerly stood on the southwest corner of campus, will be a 40,000 square foot hub of applied research for faculty, researchers, students, and staff. 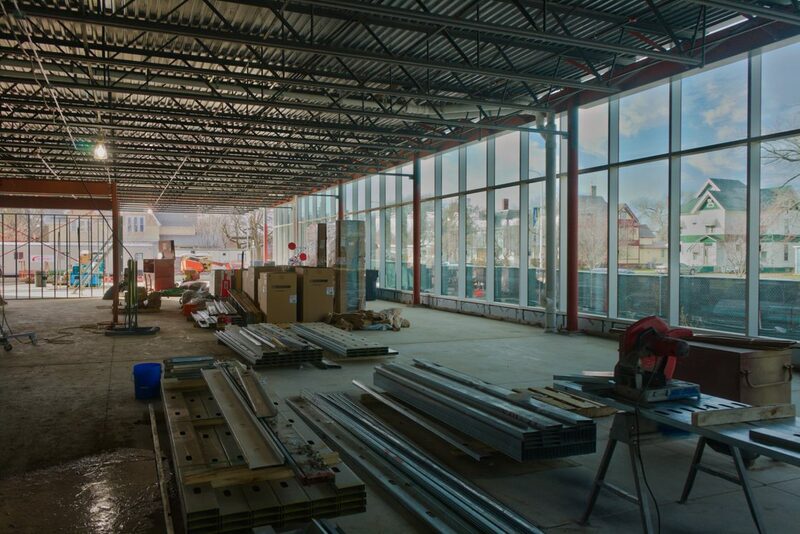 While the structure is not entirely enclosed yet, the frame is nearly complete and many windows are already in place. The outside of the building will look similar to the Beacom Institute of Technology with a sleek glass wraparound and detailed stucco siding. The inside of the building will not be any less sophisticated. Upon entering from the northwest doorway, visitors will be met by an open lobby space. Surrounding the lobby will be several rooms, including a large meeting room, a research development room, a serving kitchen, and restrooms. To the left will be the entrance to the focal point of the facility: the labs. The laboratory room, an open-concept style area, will have numerous lab spaces scattered throughout. Several enclosed rooms will dot the east wall of this area, such as the SOC (Security Operations Center), conference rooms, restrooms, a break room, and a Mother’s Room. The far back of the room will house the only enclosed lab in the building: the DigForCE Lab (Digital Forensics for Cyber Enforcement). While there will be a variety of spaces within the facility, each area is being designed to help further the MadLab’s mission to elevate economic development sourced from DSU’s campus. The MadLabs program team is excited that the vision of the endeavor is coming together so beautifully. They expect the project to be finished before students arrive on campus in August of 2019.